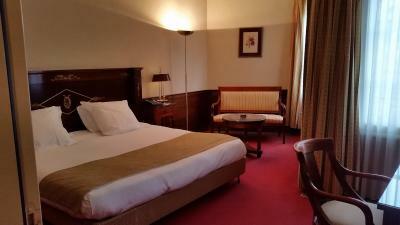 Lock in a great price for Hôtel & Spa Greuze – rated 8.9 by recent guests! The property is very nice but starts to date a little (for example the safe box is old and unpractical ), but the room is comfortable and the bed very good. The air cond was not very efficient. The staff is very very good, helpful and available. It made the difference between a good time and an excellent one. I recommend this place and will stay there again when in the area. 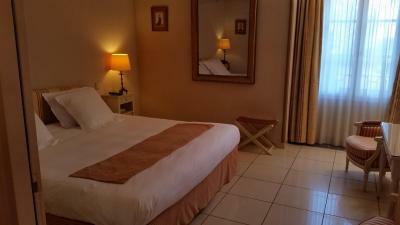 Quality room and very friendly staff and also it is right by the centre of this delightful small town. Madame was extremely kind to us when we arrived later than we hoped, hungry and tired. She sorted us out with lovely plates of food and a nice bottle of wine, and we could really enjoy the first night of our holiday. 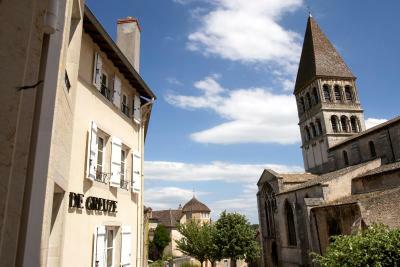 The location is perfect, peaceful in spite of being easy to access from the autoroute, and next to a beautiful ancient church. Staff were truly helpful , friendly and attentive to our needs .... lovely to the children - and we would visit again .. great to have secure parking . 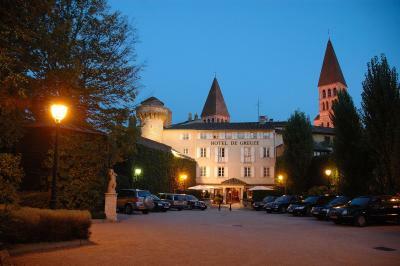 A beautiful hotel in a perfect location, ideal to relax and unwind on our journey to the alps. 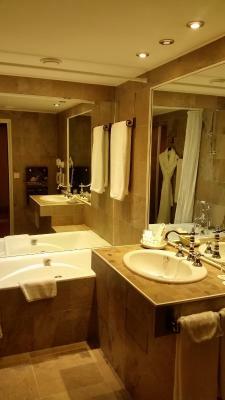 Our double bedroom suite was huge and very well appointed. The staff were all welcoming, polite, friendly and helpful. 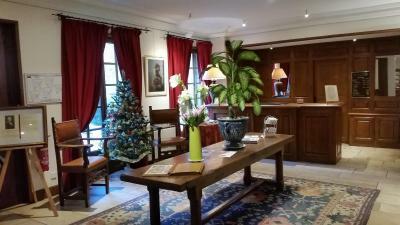 A very charming historic hotel, excellently located, with a very friendly staff! 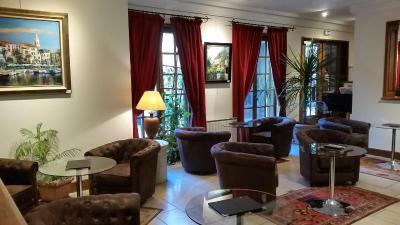 Really friendly, nicely furnished room, very good location for the station and the Abbey. The most friendly welcome we've ever had in France in 10 years! The room and bathroom were large. Bed was very comfy and the bed-linen soft. 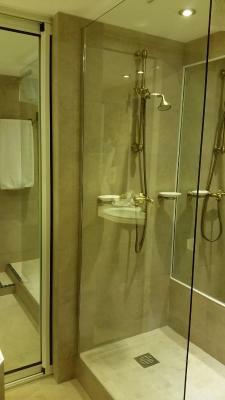 Shower was spacious with great pressure. Would stay again! Great central location. Friendly welcome, good attention from hotel staff. Free, secure parking in private grounds that are locked at night. 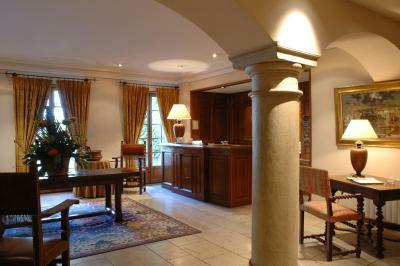 Hotel is a modernised mansion across from the ancient abbey and close to the old town centre. The location is quiet, on a small square, with negligible traffic. Our room, on the third floor (4th US) was small but comfortable, with an excellent bed. Very good continental breakfast. 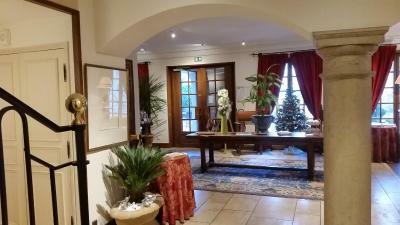 Located a 2-minute walk from Tournus Train Station and 2-minute drive from the A6 motorway, the Hôtel De Greuze welcomes you at the foot of the 10th-century Abbaye Saint Philibert. 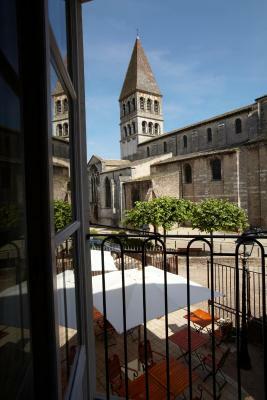 A terrace offers views of the Abbaye and free parking lot is at guest's disposal. 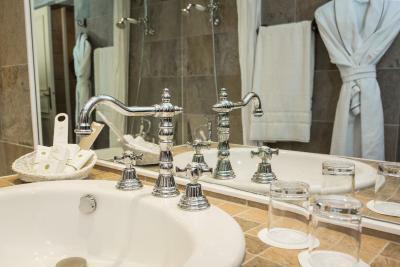 All rooms with attached bathroom features a traditional decor. 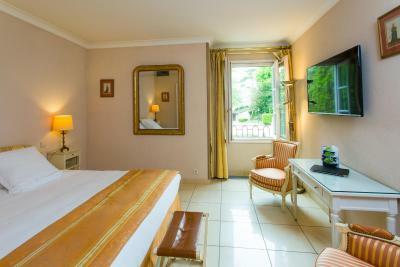 Some rooms offers a seating area or views of the Abbaye. Your pets are welcome and will be offered a small gift upon arrival. 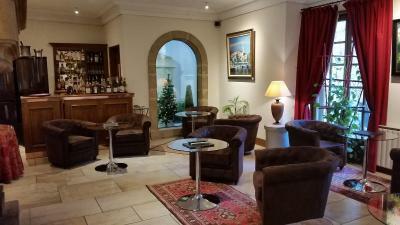 A Burgundian breakfast including a hot drink, fresh fruit juice, yogurts and basket of pastries is available each morning and can be served in your room with no extra cost. 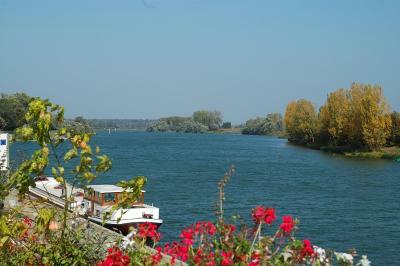 You can also enjoy local specialties such as truffles, cheese or cured meat. 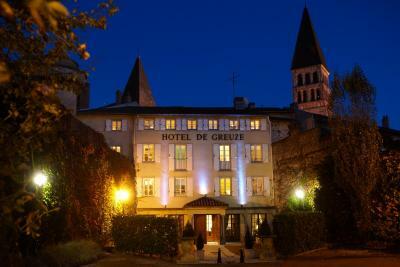 Greuze Michelin-star restaurant, located near the hotel, serves cuisine from the Burgundy region. 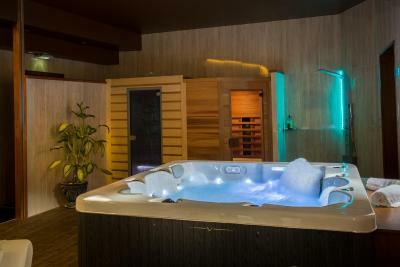 A spa private session can be booked at a surcharge. Shuttle service is available from Macon Train Station or Lyon Airport. Bicycles are available on site. Guests can also order products from local artisans. Hôtel De Greuze is 30-minute drive from Macon. The free parking lot is closed from 23:00 and provides two charging stations for Tesla cars and other electric cars. 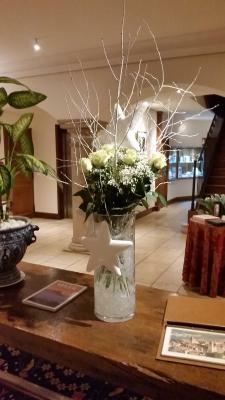 When would you like to stay at Hôtel & Spa Greuze? 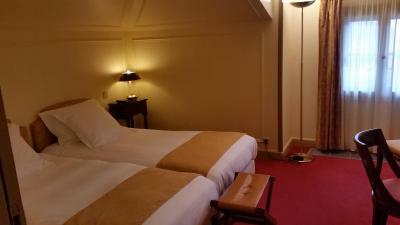 Very quiet rooms with a king size bed and a view of the hotel's car park. 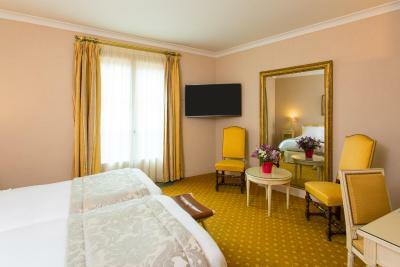 Spacious and very quiet rooms with a king size bed and a view of the entrance of the hotel. 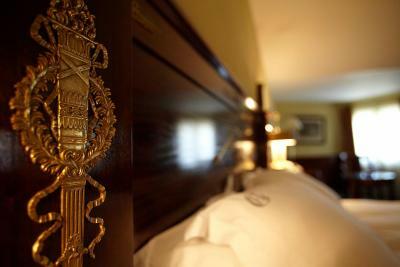 Only one extra bed for a third guest can be accommodated in this room. 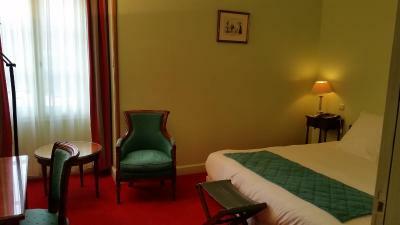 The spacious and quiet double rooms have different decor (Empire, Directoire, Napoléon 3). 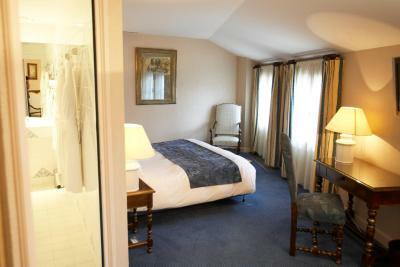 They all offer queen size bedding and a view of St Philibert Abbey. 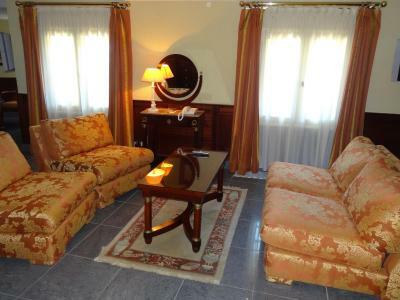 With a Nespresso machine and views of the abbey, this air-conditioned apartment features satellite TV. From 23 January to 28 February 2017, a half bottle of champagne will be included. 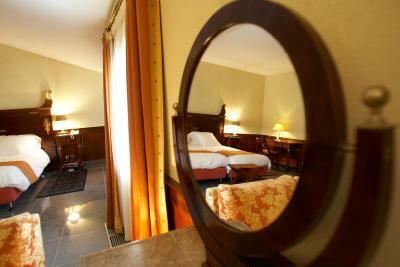 Spacious and quiet rooms with twin beds and a view of the entrance of the hotel. Quiet rooms with twin beds and a view of the entrance of the hotel. 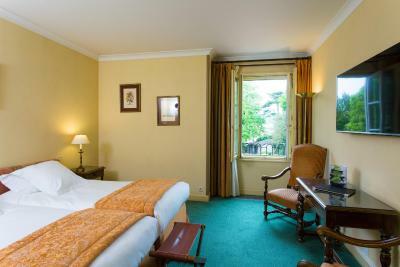 Spacious and quiet room with 2 beds (3.3 foot in width each), and view of St Philibert Abbey . This air-conditioned double room features a flat-screen TV wih cable and satellite channels, as well as a private bathroom with a bath or shower, free toiletries and a hairdryer. 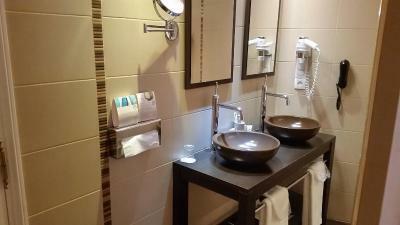 House Rules Hôtel & Spa Greuze takes special requests – add in the next step! 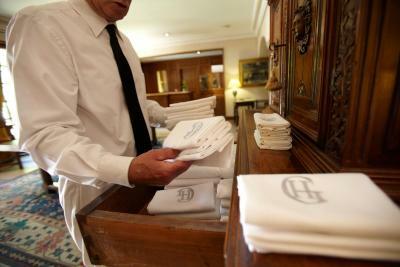 Hôtel &amp; Spa Greuze accepts these cards and reserves the right to temporarily hold an amount prior to arrival. 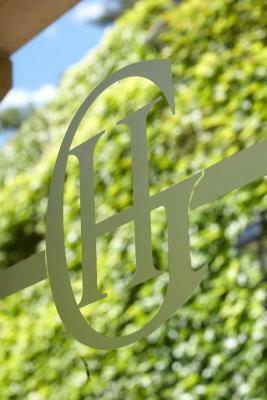 Hôtel & Spa Greuze accepts these cards and reserves the right to temporarily hold an amount prior to arrival. Please note that the restaurant is no longer operated by the hotel. Guests wishing to dine in the restaurant must reserve a table by contacting the restaurant directly. Please note that the reception is open from 6:00 to 23:00. If you expect to arrive after 23:00, please contact the property in advance. A spa private session (EUR 20 per person for 1 hour) including access to the steam room, hot tub and relaxing space can be booked. It is open 7/7 from 09:00 to 21:00. Beauty services can also be booked at a surcharge. Those services are available from Wednesday to Sunday and from 13:00 until 21:00. Please inform Hôtel & Spa Greuze of your expected arrival time in advance. You can use the Special Requests box when booking, or contact the property directly using the contact details in your confirmation. A matter of personal taste ... we would have liked the bacon served on the side with the scrambled eggs, rather than chopped through it! Bath impossibly small and we are not large! Dowdy, dark and bedroom smelt of urine. Far too expensive. We didn't get our complimentary windscreen clean! The wi-fi is slow and could do with improvement. Friendly and helpful staff. Lovely beds and bedroom. Secure parking. Excellent location especially when travelling on the motorway. Perfect for an overnight stay.